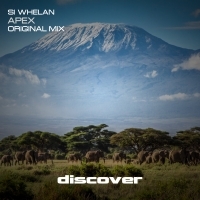 Si Whelan is back with another superb tune that epitomises what we like to call "that Discover sound". Apex builds with pace taking you on a journey that moves from gated vox stabs through to subtle understated pluck riffs. The breakdown is immense with warm chords washing over you and a strong melody that makes your hair tingle. A very strong tune from a very talented producer. We can't wait to hear what he comes up with next.